The right visual aid can make all the difference in understanding an art concept. I find posters are more effective when text is kept to a minimum. 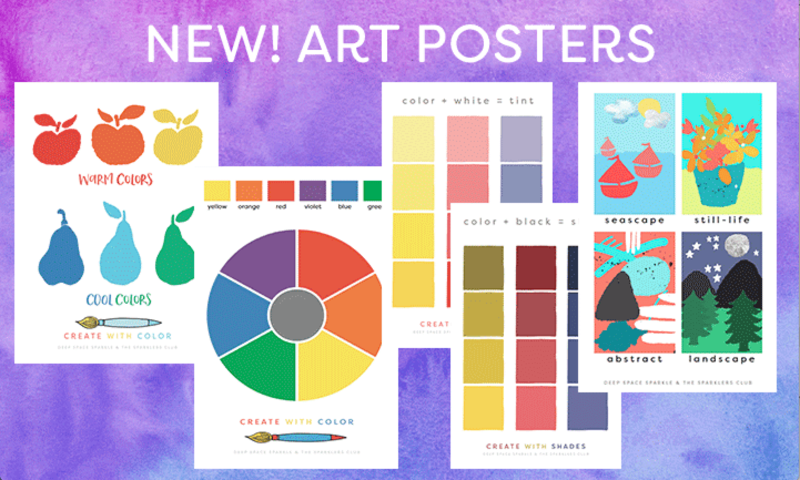 These color posters offer a modern way to express warm & cool colors, tints & shades and styles of art. These posters can be printed on a home printer and assembled or printed at a print shop. Copyright permission, instructions and high def jpegs included.